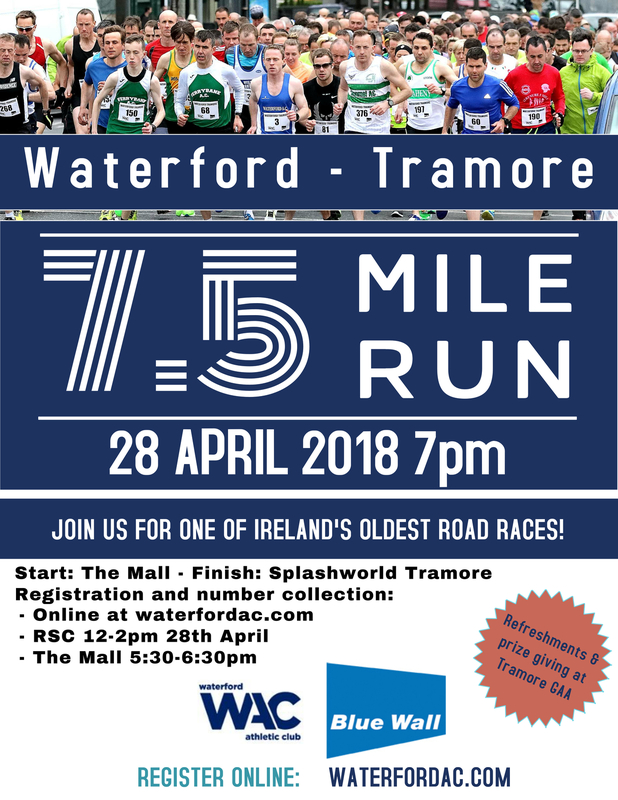 Register online at https://register.primoevents.com/ps/event/WaterfordTramore75Mile2018 or on the night between 5:45 and 6:45 in the Theater Royal. Prices are €10 + booking online or €15 on the night. Again Bluewall Technologies have come onboard as main Sponsor and Waterford AC are very glad to have such a popular sponsor involved again this year. This is the 8th year Bluewall will be sponsoring and with exceptionally generous and popular prizes in previous years.